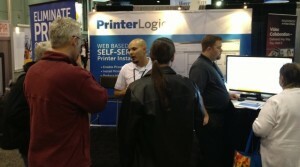 At the VMware Partner exchange we introduced many partners to Printer Installer. They often had customers with print environment nightmares. They were very excited to find that there is a solution that will simplify the management of their customers' print environments. They were amazed that we have created a way to obtain the benefits of Direct IP printing without forfeiting the ability to centrally manage a print environment. And of course... They loved the idea of eliminating print servers!